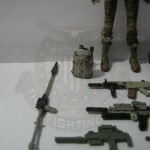 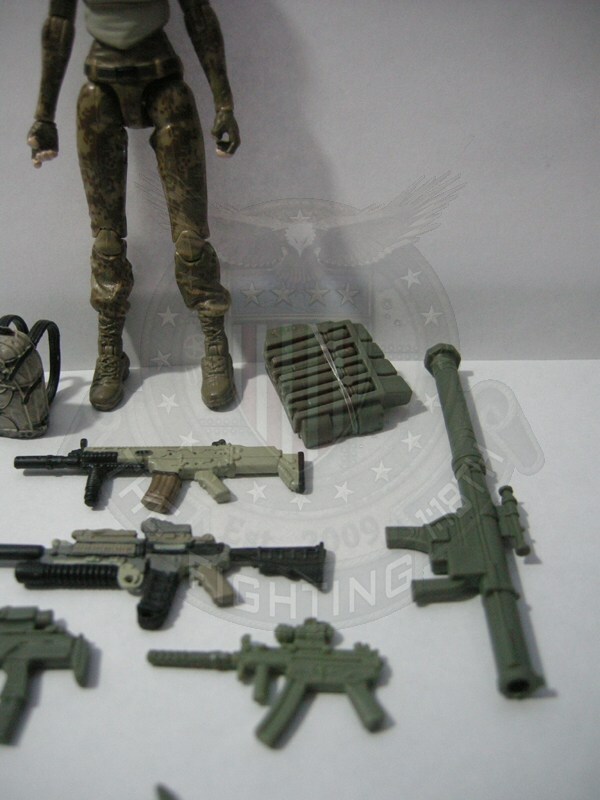 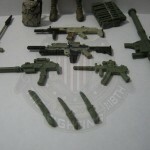 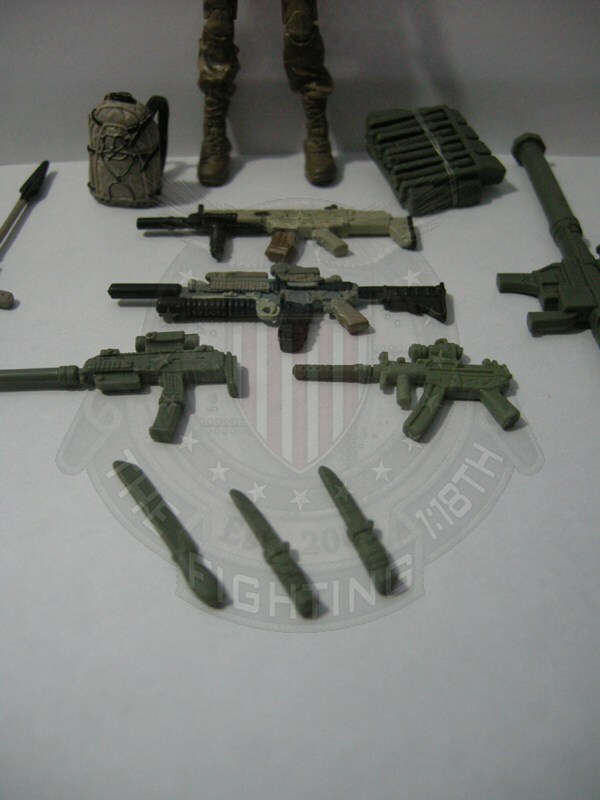 Lady Jaye comes loaded down with accessories, but cannot carry them all. 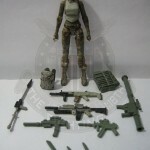 I like it when a figure has options for what to outfit them with, and they don’t have to be able to carry everything, but it would be nice if she had some way to store something! 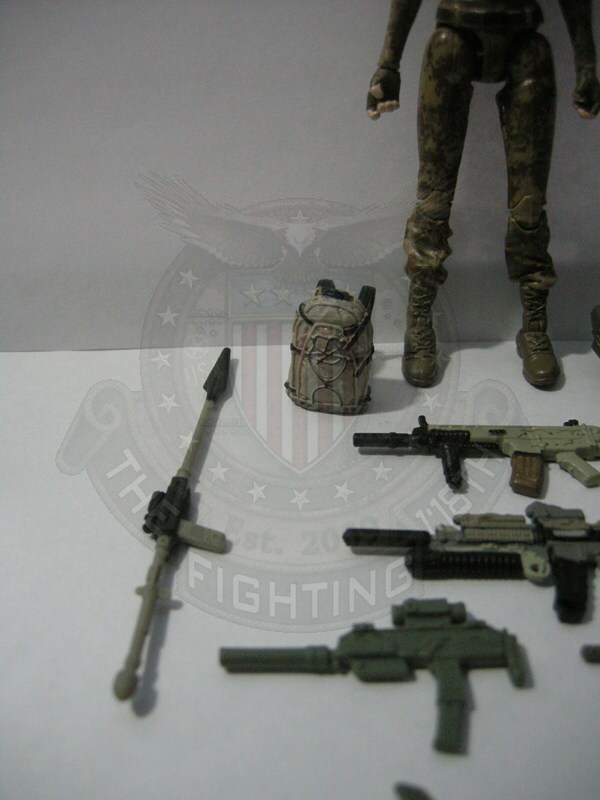 She comes with the rocket launcher and backpack with four rockets, another backpack(with straps and no peg! 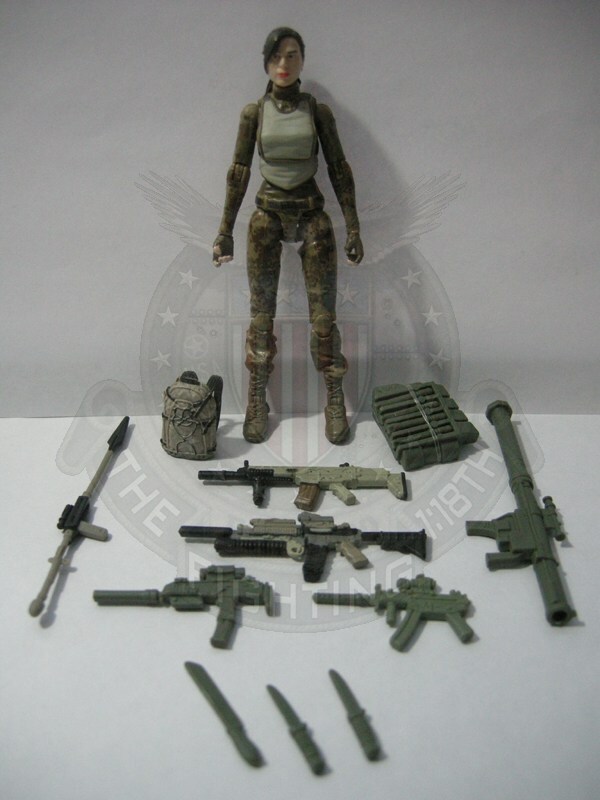 ), two sub machine guns, two rifles, her javelin launcher, two combat knives, and a machete. 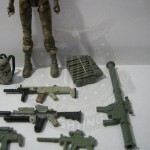 And no place to store anything except for the rockets for the launcher.